Decorate your pumpkin like a pincushion using paint and felt, free tutorial and pattern. 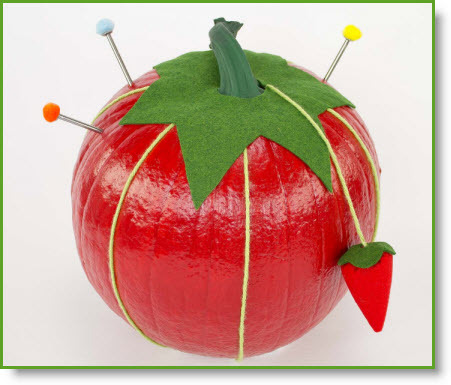 A fun alternative to carving, this Halloween pumpkin looks like a pincushion and is perfect for anyone who loves sewing. This video is by Tova, “Professor Pincushion” and it is a wonderful step-by-step video. Thanks Tova for sharing your clever idea.